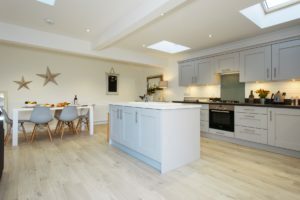 Only a short meander from the beach, local pubs and restaurants this three bedroom cottage is drenched in loads of natural light and cosy furniture creating an idyllic family getaway. 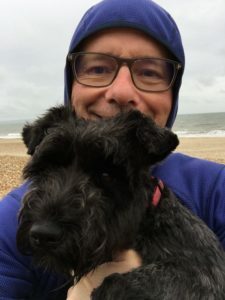 Despite the Great British weather Roger Atkinson can be seen here making the most of the time in Mudeford with his gorgeous pup Ruby. If you are looking for an excuse to head down to the seaside, then look no further. 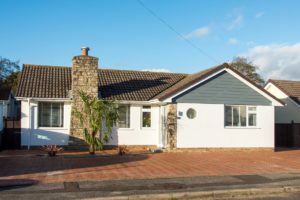 You can book your holiday at this very cottage, aptly named, “The Haven” through the great team over at New Forest Living. 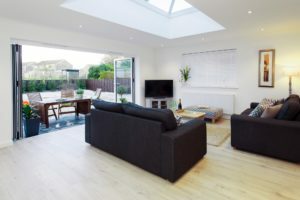 The Forays team are looking to undertake more projects along the south coast. It is the perfect excuse for a walk on the beach and the best seafood or fish and chips. 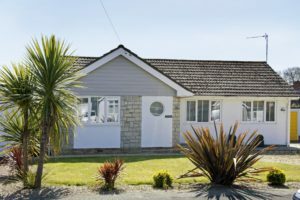 If you have land near the coast and are interested in developing the perfect holiday homes then do get in touch. 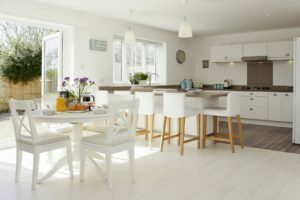 We would also like to give a shout out to the team at Danetti who Forays teamed up with to create the stylish interior within the holiday home. You can read more about Danetti’s contemporary furniture in our previous story here. The before and after (shown here consecutively), such a great transformation.